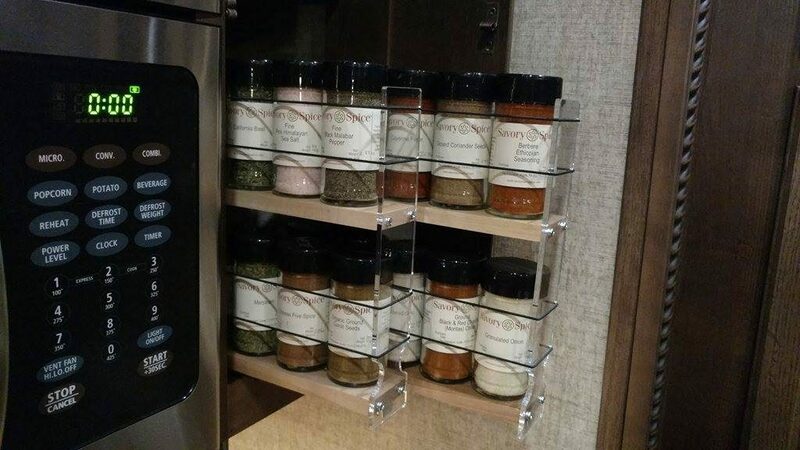 We ordered a bunch of spices from Savory Spice Shop, and a Vertical Spice 22x2x11 Maple Spice Rack Drawer, for a 6″ wide by 12″ tall cabinet that is right next to the microwave. It is supposed to hold 24 standard sized spices, but we were only able to fit 20 4oz Savory Spice Shop bottles. Still love the way it turned out, even though we now have overflow in the cabinet above it.